In our spiritual life, prayer is the expression of how God relates to us and our response. In Romans 8:26-27, “The Spirit helps us in our weakness. We do not know how to pray as we ought, but that very Spirit intercedes with sighs too deep for words. And God, who searches the heart, knows what is the mind of the Spirit, because the Spirit intercedes for the saints according to the will of God.” What an awesome promise to know that the Spirit prays in us and for us according to God’s will. When we do not know how to pray or what to pray for, perhaps we just need to connect to the conversation already going on deep in our hearts. Not only does prayer express our relationship with God, but also our relationship with others and our world around us. We often think that prayer is a conversation with God using this formula: praise, adoration, thanksgiving, confession and supplication. This is good! Many times our prayers become a monologue of requests for ourselves and others — almost like talking at God rather than with God. There is nothing wrong with supplication; however, communication with God and others is a dialogue, which to be real, requires us to listen. By listening, we can hear the Spirit that intercedes for us deep in our soul according to the will of God. I would encourage to you to read the book Soul Feast by Marjorie J. Thompson. This is an invitation to strengthen our Christian spiritual life. 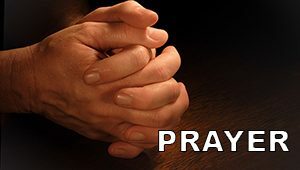 Let us pray... Gracious Lord and Savior — help us to listen to your Spirit that is already inside us. Help us to continue this dialogue so that we are strengthened to serve you and others. Amen. 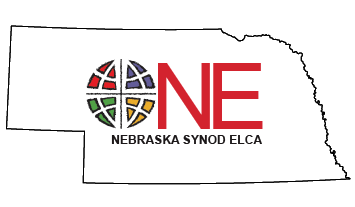 Dave Stenberg is a member of the Nebraska Synod Leadership Development Table and of Grace Lutheran Church in Lexington, Nebraska.